Diana loves Charm Squares. 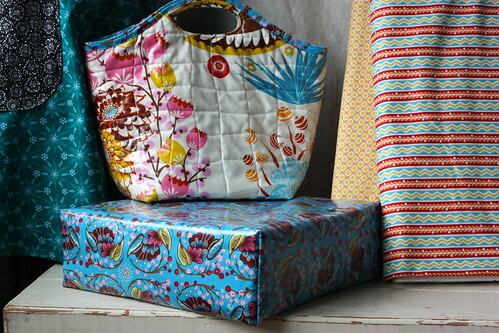 What a great way to get all the patterns in one collection of fabric! A frugal sewist’s dream. A charm square is 5 inches square. The pattern calls for a 6 inch wide triangle x 8 inches long. Some alterations had to be made. 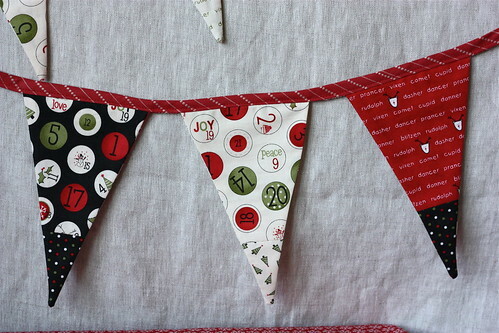 Decide which 16 (oops the pattern calls for 14) charm squares will be the upper triangle. Set those aside. Now pick 8 for the lower portion. Cut those in half. 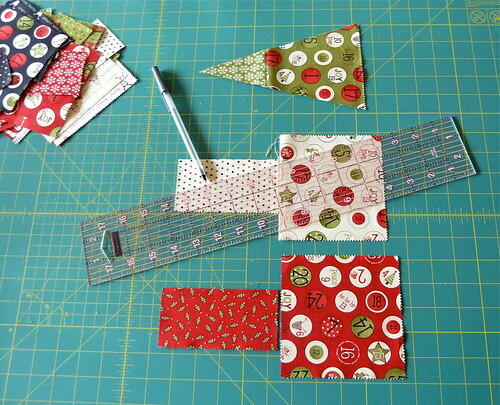 With right sides facing, center your 2 1/2 inch strip on the center of a charm square and sew them together. Find the center of the charm square and measure down 8 inches. This is the center of the point. Cut off the sides to form the triangle. 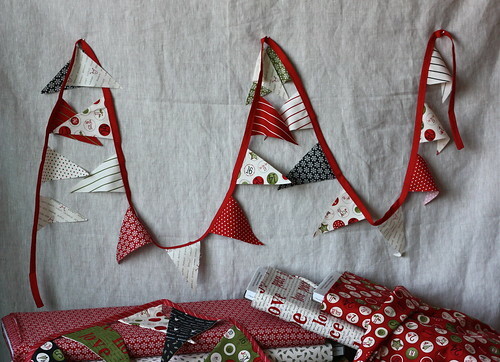 Use one of the front triangles as a template for the backs. Diana used 2 fat quarters in coordinating prints to form the backs. 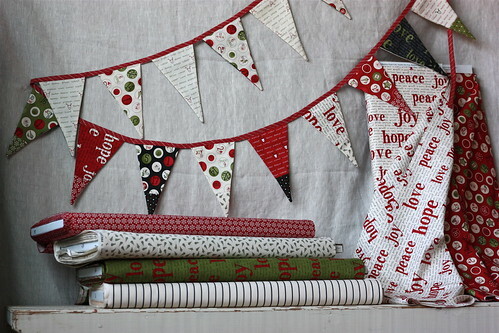 A customer question from Malisa, inspired the mini banner as a way to use only the charm squares. Diana just had to try it out. The mini triangles measure 3 1/2″ wide x 5″ long. The edges were left raw and then sewn to the pre-made seam binding. Imagine the mini banner on the Christmas tree!!! Step 2, Make the Body of the Seat, When folding the laminate in half to keep it secure Carrie used binder clips to hold it in place. Be careful to follow the diagram and measure the 5 1/2″ marking along the open edge of the triangle. Carrie made the mistake of measuring from the folded side on one corner. When stitching on the bottom piece she found it easier to stitch one side at a time. Starting and stopping a 1/2″ before the end and then turning the corner. On the side left open for inserting the foam Carrie used masking tape instead of pins to hold it together so she could sew it closed. Carrie elected not to use the buckwheat hulls. She had two 12 x 12 x 2 pieces of foam so she used both of them. If she had used the buckwheat hulls enclosing them in a 12 x 12 piece of muslin and attaching it to the top of the foam would keep them together. A booster seat for your toddler and a fun way to add color to your kitchen. 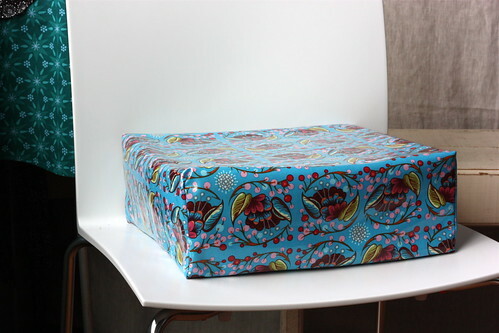 Easy clean up laminated fabric!